Explore our treasuries of children's art projects, outside play ideas, healthy and fun snacks to make with children, and creative ideas that have been shared on wordplayhouse®. 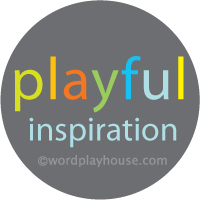 If you are new to wordplayhouse® or have never explored all we have shared, here are all our posts to visit for inspiration, projects to pin, and memories to make with your own children or students. Click on the images to begin your exploration. Enjoy! Watercolors. The makings of children's art projects everywhere. 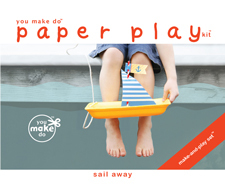 Parents and teachers love this art material for children because of its ease of clean up. And, watercolors are an ideal art supply to select as a first introduction to making art with the very youngest children. The magic of the brilliant, wet color on the paper delights children—and, all—of all ages. We have all made swashes of watercolor on paper. But, did you know watercolors add lovely, soft-hue tints to wood playthings too? Using watercolors for wood stains is simple enough for a toddler project. And, this art activity is a creative accompaniment to a child learning their colors. But, children of all ages will delight in this wood-staining project. Afterwards, children will want to use their hand-tinted blocks for the wonderful, open ended play wood blocks give to children—for the engineering of towers, castles, bridges—now washed in a rainbow of color. 1• Gather your art supplies. You will need: watercolors and paintbrush we used Glob natural paint powders and bamboo paint brush, wood blocks found at craft stores, jars (one for each color), and water. 2 • If you use the naturally dyed paint powders we played with, share with your child what natural plant dyes were used to make each color. These colors listed on the packets include vibrant hues made with beets, purple carrots, turmeric, and red cabbage. You may also learn about these natural dyes here. Have young children identify the colors of the fruits shown on the packets for more color fun and practice. 3 • Place a teaspoon of Glob paint powder in a separate jar for each color. Have children smell the fruitiness of each, as they scoop the powder from the packets. 4 • Add a teaspoon of water to each jar of paint powder. 5 • Children may now begin staining their blocks. 6 • Our young child was relaxed and engaged in this quiet time activity and delighted in the discovery of how each block transformed with the colorful stains. 7 • Children will enjoy matching the fruit colors on the Glob paint packets with the colors they have painted on the blocks. Cut pieces of the paint packets into squares the size of your blocks. 8 • Then, have your child glue your color-matched paint packet squares onto some sides of your wood blocks. 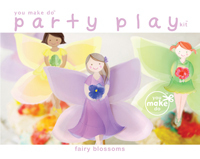 Use these pretty-hued blocks for play or give your handmade blocks as baby shower gifts or birthday presents. Tuck them in a simple canvas drawstring bag for gift giving, or for storing them between play in your home.